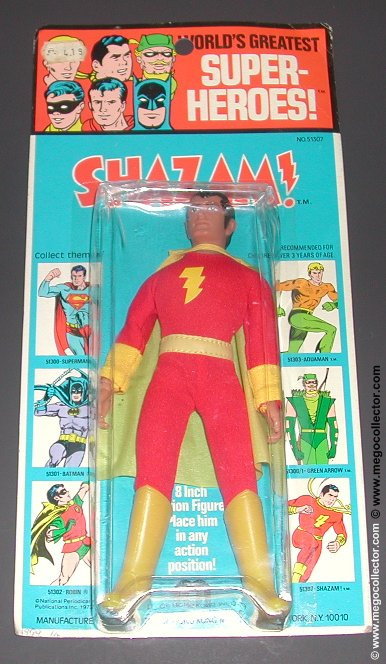 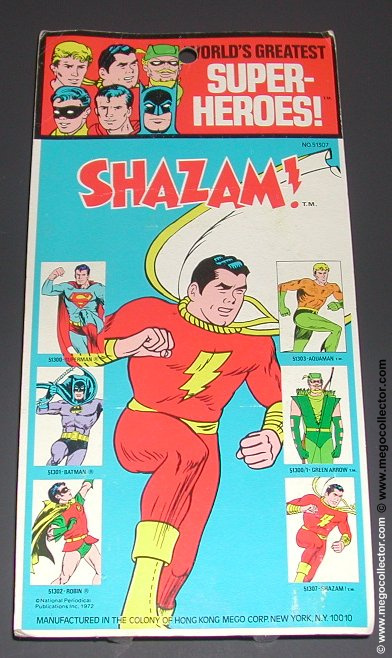 The Shazam Kresge carded action figure produced by Mego is an extremely difficult piece to find. 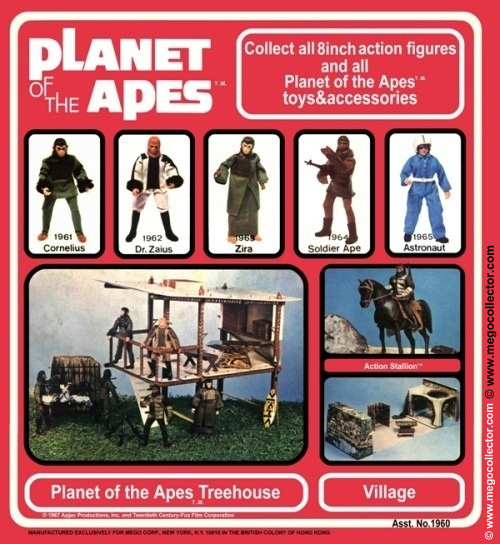 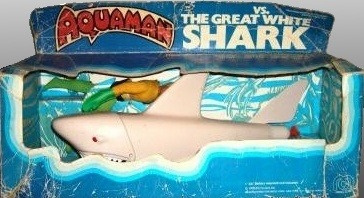 So difficult that the experts at megomuseum.com have yet to photograph a specimen for their outstanding museum (at least at the time of this writing). 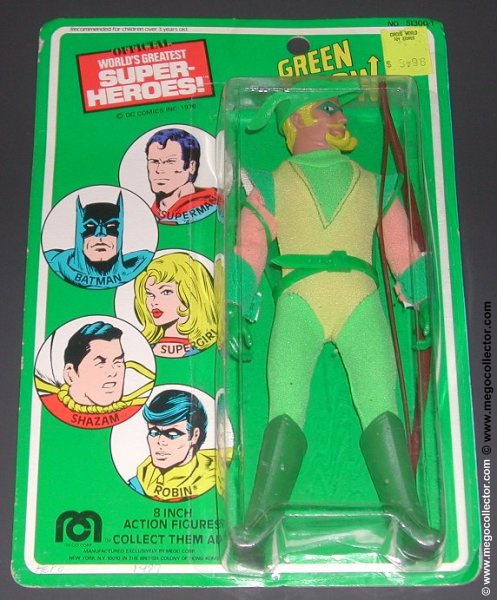 Regardless of the scarcity of this specimen, this is one of the finest examples of a Kresge carded Mego action figure.